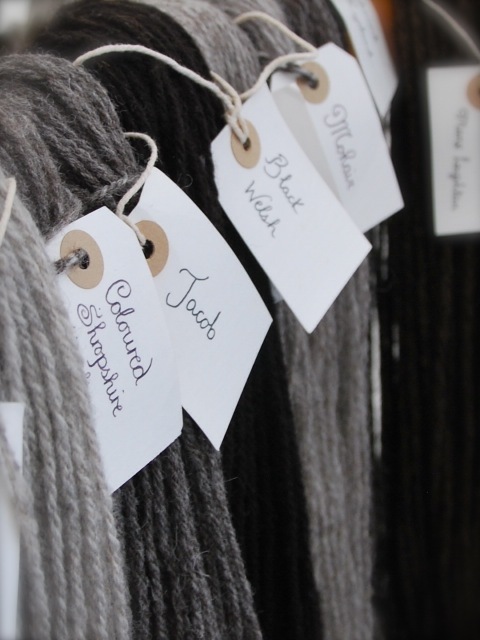 The table of contacts below gives the contact details for organisations, groups, societies and individuals who work with wool in a variety of ways. The contacts are all involved with wool either by promoting it, processing wool, producing wool from their own sheep or through the envolvement in crafts such as spinning, knitting, weaving, dying or felting. Many of the contacts in the table below also produce woollen items for sale, provide tuition or run craft workshops. We hope that you find the contacts on this list useful. Please click on the name of the producer to be taken to their website. Members wishing to avail themselves of this link facility should contact the Online Editor Terry Barker via email. We kindly ask that those wishing to be added to the Wool Directory list must have a website or at least an email address in order to be added. Thank you. Wool Marketing Board United Kingdom The official controlling body of wool marketing. The Association of Guilds of Weavers, Spinners & Dyers United Kingdom Large organisation with many local branches. A source of tuition & possibly outlets for your wool. British Coloured Sheep Breeders Association United Kingdom Promotes coloured sheep & the use of coloured wool. The Arkwright Spinsters Sir Richard Arkwright’s Cromford Mill, Matlock, Derbyshire A spinning & fibrecraft group. They meet on the third Sunday of each month between 11.00 am & 4.00 pm. Black Sheep Spinners Blaze Farm, Wildboarclough, Derbyshire Informal spinning group. They meet on the third Wednesday of each month. Lindsay Roberts Chesters, Scottish Borders Handspun yarn, fibres, tuition & workshops. Brenda Howell Newcastle Emlyn, Wales Spinning, weaving, dying & felting, wools & woven goods. Demonstrations & illustrated talks. Thelma Jones St. Clears, Carmarthen, Wales Studio on a rare breeds farm, local artists on display. Sylvia Sexton Moylegrove Village, Pemrbrokeshire, Wales Spinning & weaving equipment, tuition. Craft studio with hand knits & hand woven items. Wingham Wool Work Wentworth, South Yorkshire Tuition, fibres, yarns & equipment for sale. The Threshing Barn Leek, Staffordshire Tuition, fibres, yarns & equipment for sale. Diane Fisher North Derbyshire Tuition, handspun yarns, demonstrations & commissions considered. The Natural Fibre Company Ltd. Launceston, Cornwall Woollen & worsted spinners, organic processors & dyers. Curlew Weavers Newcastle Emlyn, Wales Mill, producers of woollen fabrics & products in tweed. Bobtails East Riding of Yorkshire Fleeces & pet hair handpspun & can also be hand knitted. Griffiths’ Mill Derbyshire Dales Processors of fleece, scouring & carding. Often processed fibre & fleeces for sale. Halifax Spinning Company Goole, East Riding of Yorkshire Spinning & processing of fleece. Tweedside Rachel & Nigel Gibb Jacob raw fleeces including first shear lamb fleeces, Gotland fleeces & bumps of rovings in various shades of grey. Visitors welcome to choose a fleece on the hoof & fleeces posted out to all parts of the UK. Winner of the JSS Scottish Regional Show & Sale 2013 Wool on the Hoof Trophy, 1st place Royal Highland Show 2014 Ewe in Full Fleece in Milk as well as winners of the Helen Baillie Trophy for the best Jacob Wool on the Hoof. Halsbury Christopher Slee Woollen products made from 100% Halsbury Jacob wool- shawls & knee rugs, throws, scarves & cushions. Compton Angela Gilbert Jacob raw fleeces, Jacob sheepskin rugs & some woven Jacob goods. Tor Grove Nick & Lesley Nottley Hand Dyed Pure Jacob Wool – 100g Double-Knitting Weight Balls, 16 different colours from Salmon to Moss. Payne Jackie & Antony Payne Jacob raw fleeces, sheepskin rugs, woven products; throws, cushions, gloves etc. 100gm double knitting balls of natural, dark and light (un-dyed) wool. Hand knitted & felted products; cushions, hats, gloves, tea cosys etc. True Grit Lisa Richardson Jacob raw fleeces, spun Jacob wool in its natural varieties of colours & crochet garments made with home grown Lancashire Jacob wool. Laurels David Sizer Jacob raw fleeces & Jacob sheepskin rugs. Rusland Sam Hagon & Tom Hrynkow Jacob raw fleeces. Whitedale Chris & Aileen Simpson Knitting yarns, knitted items & fabric soft furnishing such as cushions & throws etc. lletymawr Amanda Tomkins Raw Jacob fleece, sheep skin rugs, various hand crafted items from our Jacob flock. Shutecombe Bryn & Peter Gorringe Jacob sheepskins & knitting wool. The table of contacts above who work with wool in various ways are offered here in good faith for the convenience of members. The Jacob Sheep Society does not recommend or endorse any of the contacts.